Including a dining establishment with outdoors terrace and a bar, Pansion Komfor Moča has rooms and studios with free internet access, air conditioning and satellite television. Free car parking is provided. 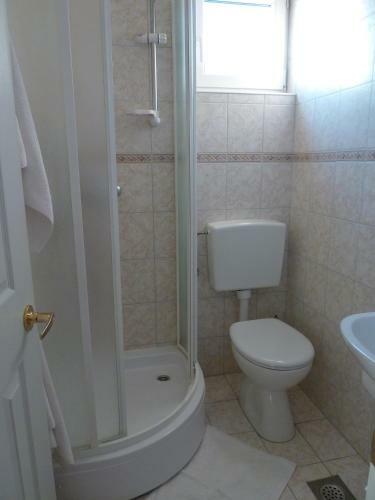 The property is set right on the State Road 8, approximately 350 metres from the promenade and city centre, and about 550 metres from the main beach. Buffet morning meal is included in the rate and served at the restaurant, which also has various fish and meat specialities on the menu. Visitors can also sit back on the frequent terrace. You can shop for groceries only 30 metres away. Makarska Bus Station is 500 metres from the bed and breakfast, while the ferry terminal with connections to Brač Island is about 450 metres away. The treking route leading up to Biokovo Mountain begins only steps away from the property. The entrance to Nature Park Biokovo is 7 kilometers away. 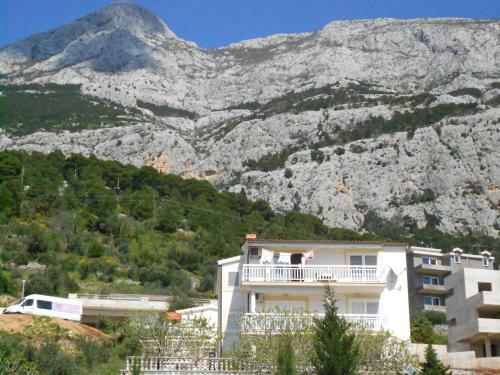 Guest house Komfor Moča ~0.1 km, Makarska price per day from € 39 Including a dining establishment with outdoors terrace and a bar, Pansion Komfor Moča has rooms and studios with free internet access, air conditioning and satellite television. Free car parking is provided. The property is set right on the State Road 8, approximately 350 metres from the promenade and city centre, and about 550 metres from the main beach. Buffet morning meal is included in the rate and served at the restaurant, which also has various fish and meat specialities on the menu. Visitors can also sit back on the frequent terrace. You can shop for groceries only 30 metres away. Tucepi ( ~ 3.6 km ): 105+ apartments. Promajna ( ~ 6 km ): 87+ apartments. Podgora ( ~ 7.9 km ): 249+ apartments, 27+ villas, 5+ hotels. Baska Voda ( ~ 9 km ): 249+ apartments. Brela ( ~ 10.9 km ): 120+ accommodation units. Drasnice ( ~ 11.2 km ): 83+ accommodation units. Beach Jadran, Tucepi ~ 0,5 km from Guest house Komfor Moča Gravel beach: ideal for families, with caffe bar. Excellent choice of watersports. Beach Hotel Meteor ~ 1 km from Guest house Komfor Moča Gravel beach: ideal for families, recommended for young people, with restaurant, with caffe bar, equipped with showers. Excellent choice of watersports. Beach Sv Petar ~ 1 km from Guest house Komfor Moča Concrete beach: recommended for young people, with restaurant. Excellent choice of watersports. Beach Hotel Park ~ 1,1 km from Guest house Komfor Moča Gravel beach: ideal for families, with restaurant, with caffe bar, equipped with showers. Excellent choice of watersports. Beach Hotel Dalmacija ~ 1,4 km from Guest house Komfor Moča Gravel beach: ideal for families, recommended for young people, with restaurant, with caffe bar, equipped with showers. Excellent choice of watersports.